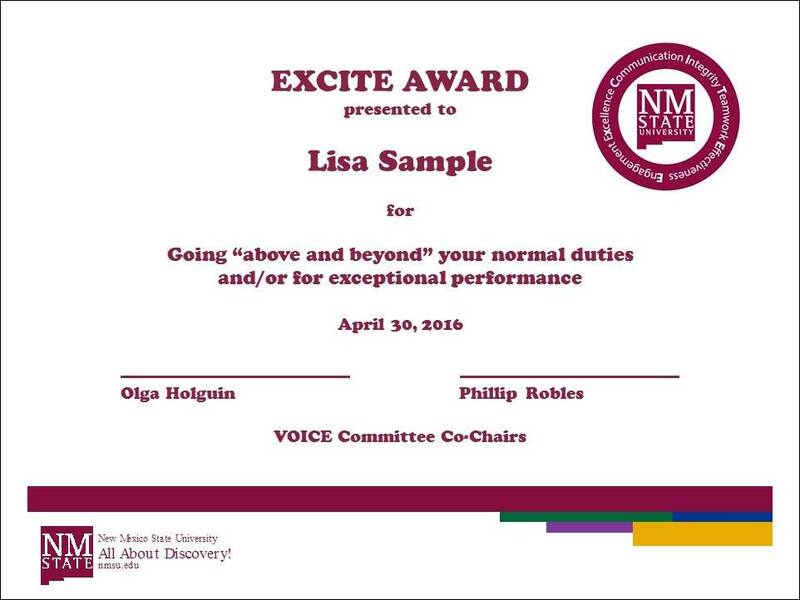 The Administration & Finance (A&F) Voice Committee was tasked to develop, implement, and oversee an effective recognition-and-reward program for the A&F Department of NMSU. The design of this program is the biggest initiative taken on by the Voice. 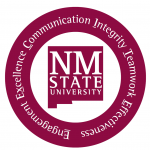 meeting NMSU’s goals and values. 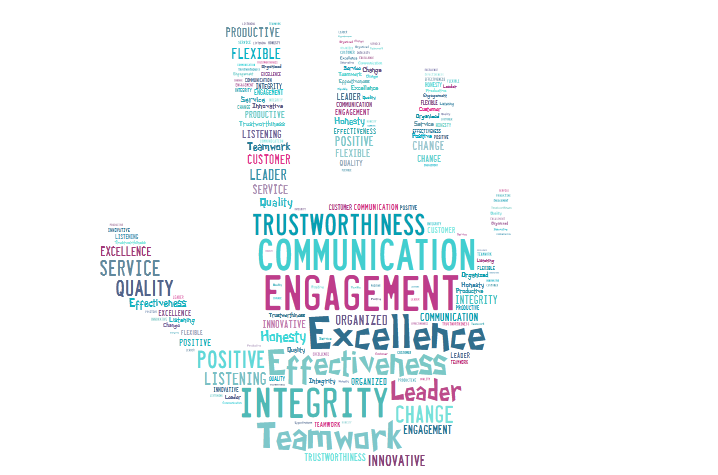 Because the employees’ feedback identified verbal recognition as the second-highest reward desired, we designed a program that recognizes many employees, but still offers a cash reward for some employees. Any staff member in A&F is eligible for recognition, with the exception of student employees. There are no restrictions based on time of employment or employment status. The selection committee (Voice) is also eligible for rewards. Cash Award: If awarded, recipient will receive a plaque and $250 cash award. Non-Cash Award: First time recipients will be awarded with a certificate and EXCITE Pin. Non-first time recipients will be awarded the certificate only. To learn more about EXCITE or to nominate an A&F staff member, follow the links in the right of the page. Also, check out who has already won the award!